When you are angry at them, you will cut through it. You'll cut through your attachment to them at its root. Is that they are equal. Understand this. 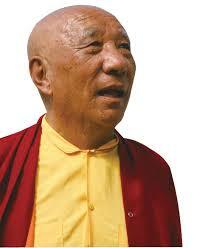 Khenpo Tsultrim Gyamtso Rinpoche, Jamgon Kongtrul Labrang, Pullahari, Nepal. 2012. Translated by Jim Scott.